Simply connect the Fiber-Optic Cable (L-type) to the connector, and the light of the digital cameras built-in flash is detected and triggers an external strobe. It also eliminates any risks involved when the connector is submerged in water. Fully ergonomic for a unique fit, the main command dial and subcommand dial can be easily reached. As a result, the subcommand dial was moved even closer to the grip than in previous models by adjusting the chassis inside the housing. You can adjust the shutter/aperture in a snap while holding the grip. Standard viewfinders reduce original image size for full view of the corners and shooting data. The Sea and Sea 1.2x SLR 45 Degree Viewfinder is a prism optic that greatly magnifies original image size and thus reduces eye strain and improves composition. The Sea and Sea 45 rotates for vertical use. Price includes custom installation. * Controls almost all of the Nikon D300s essential functions underwater. * Every detail of the housing is precision machined from a solid aluminum block to achieve a high-quality texture and design. All edges have been polished carefully for safety. * The housing is protected by a highly corrosion resistant, anodized coating. The coating protects the housing from environmental corrosion and abrasions. * Features a slanted (sideways) button on the back with an original structure. For balancing even more active functionality and styling in high dimension. * Furnished with a tripod socket in the central region of the bottom surface of the main body. If you remove the attached Ergo Grip, you can also add an optional Grip-Stay L.
* Comes standard with two bulkhead connectors: one type-N connector (2-pin wired for manual) and one 5-pin wired connector (for dedicated TTL). * Equipped with a Optical Viewfinder 0.5x standard. 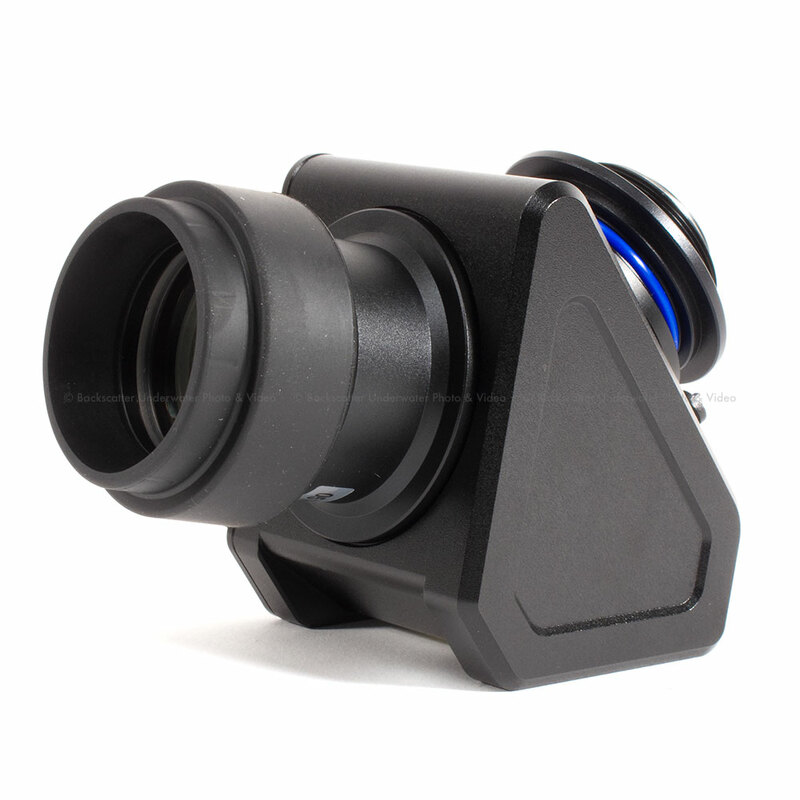 Interchangeable 0.66x/0.8x viewfinders (optional) are also available. * The quick shoe makes the camera easy to install and remove from the housing. * A built-in leak sensor immediately alerts you to any water leakage. * Strong and durable build, with a depth rating of up to 60m / 200ft.